Donna Rae (McCullick) Neely, age 72, of El Dorado Springs, MO, passed away at her home Saturday, November 5, 2011, following a lengthy illness. She was born in Burns, WY, on April 20, 1939, to Allen Ray McCullick and Ruth (Noyes) McCullick. 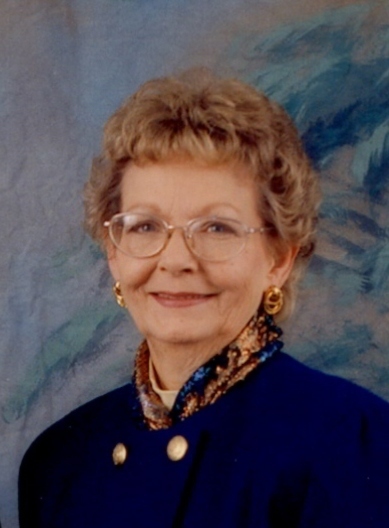 Donna attended school in El Dorado Springs, graduating in 1957. On November 28, 1957, she was united in marriage to the love of her life, Floyd Kenneth Neely. To this union were born three children: Kyle David, Leslie Allen and Suzan Sheree. After retiring from Hallmark Cards in 1990, Donna and Kenneth returned to their home town where they had several good years with her parents and sisters and best friends, Jeanie and Myrna. She was active as a volunteer and supporter of Crosslines Center of El Dorado Springs for over ten years. Donna also served on the board of directors of West Central Missouri Community Action Agency for fifteen years, serving as president for several years. She was a 54 year member and past Worthy Matron of El Dorado Springs Chapter #148 Order of the Eastern Star, past president of the Hospital Auxiliary and a charter member of the Scarlet Ladies. She loved donning her red hat and purple ensemble when the group got together. Donna accepted Jesus at an early age, was baptized, and became a member of the Reorganized Church of Jesus Christ of Latter Day Saints. At the time of her death she was a dedicated member of the Community Church of El Dorado Springs. Preceding her in death were: her parents; infant sister Ruth Allene; infant nephew James Dean Ogle; brother-in-law Lloyd Neely; and son-in-law J. Hoon Kim. In addition to her husband, Floyd Kenneth Neely, she is survived by: her children, Kyle Neely and wife Debbie of Stockton, MO, Les Neely of Osborn, MO, and Suzan Kim of Quincy, Il; eight grandchildren: Michael Neely and wife Cassie, Kirsten Allen and husband Nick, Brian Neely and wife Melanie, Ben Neely, Jessica Jestes and husband Randy, Madison Kim, Molly Kim, and Morgan Kim; six great-grandchildren: Carissa Smith and Evan Michael Neely, Kylie and Kadin Allen, Kaleb and Bryson Jestes; two sisters: Jeanie Ogle and husband Jim, and Myrna Parks and husband Dean; one sister-in-law, Donna C. Neely; one aunt, Ruth Lee McCullick; and many nieces and nephews. She was a devoted and loving wife, mother, and Nannie to her family, the best sister, aunt, and friend and leaves many to mourn her passing. Our hearts are sad, but we rejoice in the knowledge that she is in heaven with our Lord and Savior Jesus Christ. Services for Donna Neely will be held on Wednesday, November 9, 2011, at 2:00 p.m. at Bland-Hackleman Funeral Home, with a visitation from 1-2 p.m. prior to the service. Rev. Brent Bland will officiate and Terry Hubbard and Barry Witt will provide music. Interment will follow in El Dorado Springs City Cemetery under the direction of Bland-Hackleman Funeral Home. Pallbearers are Michael Neely, Brian Neely, Ben Neely, Nick Allen, Randy Jestes, and Jason Neely.